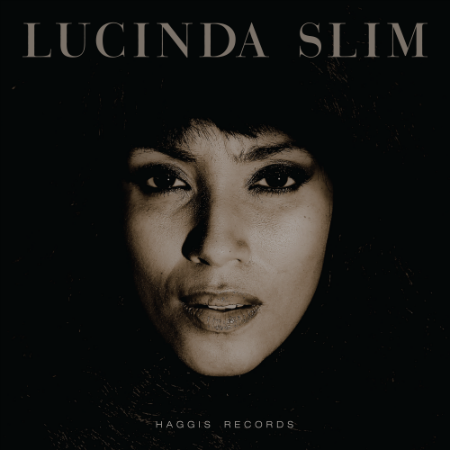 Soul siren Lucinda Slim‘s self-titled debut EP with The Law Men was initially released on vinyl in 2015 and sold out in record time, leaving many fans empty-handed. But independent label Haggis Records comes to the rescue with a long-awaited full digital release of this rare, in demand and deeply soulful album. Lucinda Slim‘s debut features songs co-written by legendary Northern Soul DJ Keb Darge (creator of the Deep Funk nights at London’s Madame Jojo’s), Gabe Roth (bass-player, producer and songwriter of Sharon Jones and the Dap Kings) and Belgium’s finest musicians: New Orleans jazz aficionado Frederik Vandenberghe on drums and percussion, groove expert Matthias Debusschere on bass, keys wizard Peter Lesage (Jesse Boykins III, Moiano) on piano & Wurlitzer and jazzcat Bruno De Groote on Guitar. Production and mixdown were handled by Krewcial (BBE / Blue Note Records) and features The Haggis Horns, one of the finest horn and rhythm section players in the UK (Amy Winehouse, Mark Ronson, Jamiroquai, Martha Reeves, Lou Donaldson, John Legend & The Roots). And topping things off, the album also carries a song co-written by Mason Kimber (Paperplane Object from Australia). If these aren’t enough heavyweights for you and you have never heard of Lucinda Slim, you will be surprised to hear she also sings under the name of Tanja Daese and Nia Saw, performs, tours the world and has co- written songs with world renowned vocal group Zap Mama (Luaka Bop / Virgin Records / Warner Bros). She has also sung and recorded with Senegalese super star Youssou N’Dour, Sharon Jones and The Dap-Kings, Sergio Mendez, The Haggis Horns, Antibalas, Ladysmith Black Mambazo, Flowriders, Stone Foundation, Raw Deal and many others. Lucinda Slim‘s album takes you back to the golden age of 60s soul meets Southern blues and funk with sweet gospel influenced harmonies, dark twists and turns and bone-grinding grooves that will stir you so deep you ‘will wanna slap your mama! Bringing an ode to Soulstresses Little Ann, Towanda Barnes is the cover version of northern soul classic “You Don’t Mean It”, beautifully re- arranged and featuring latin inspired harmonies in the chorus. Brenda Holloway, Irma Thomas with “Two Winters Long” and then into Lucinda‘s dark side with “Wrath of the Lawmen” and “Love Thief”, a raw heartfelt cry reminiscent of Vicky Anderson. To finish off this album, last but not least, “All This Time”, which was Paul Weller‘s favorite song of 2015 (Mojo Magazine), and is a jazzy 20s inspired song which has Belgian producer Krewcial‘s stamp all over it.